Here’s the first of four Christmas crafts for today! During the Dust Bowl era, most folks didn’t have a lot of money. Frugal living sometimes prompts wonderful creativity. Families made little decorations out of commonplace items they found or saved. 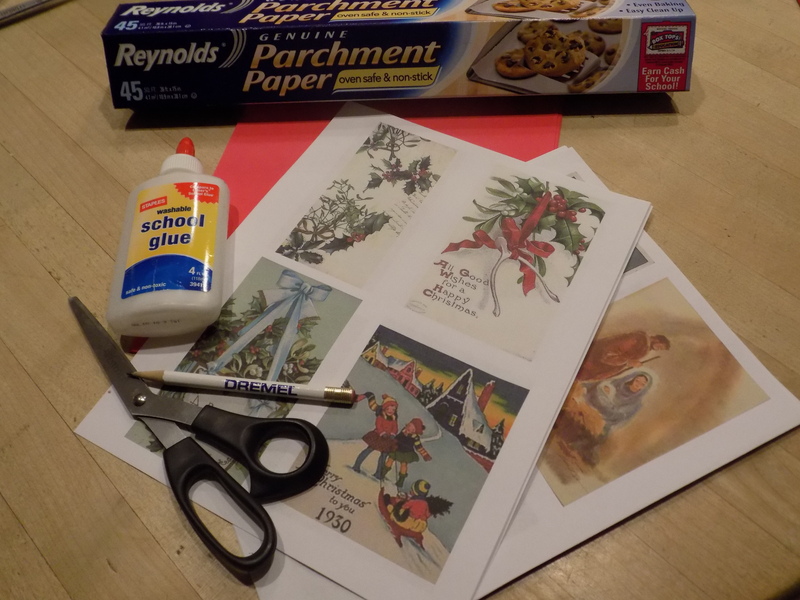 Christmas cards from years past were an easy item to transform into new decorations. There are lots of fun projects to try with left-over or years-old cards. (Gift tags and ornament balls are always fun!) 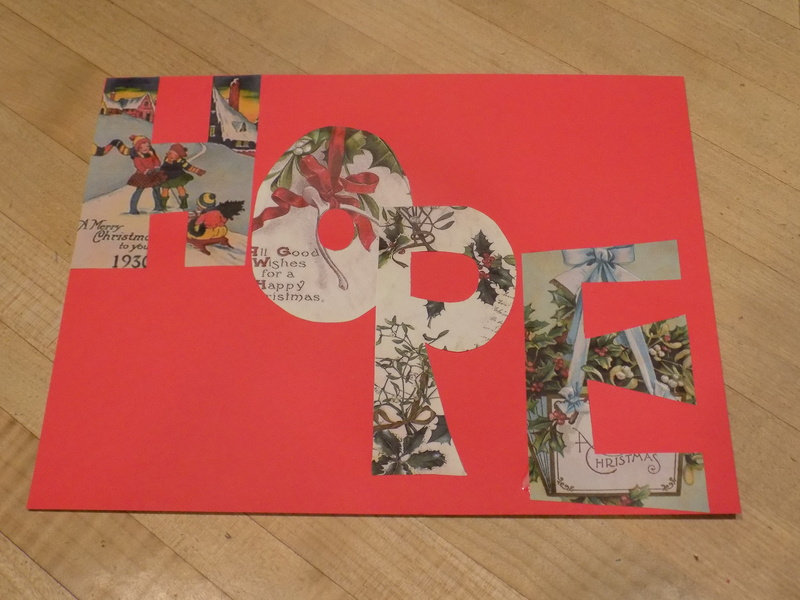 Today, we’ve prepared a project collage to write an inspirational holiday message. Decide on an inspiration word (or if you’re really brave do “Merry Christmas). I used Joy and Hope. 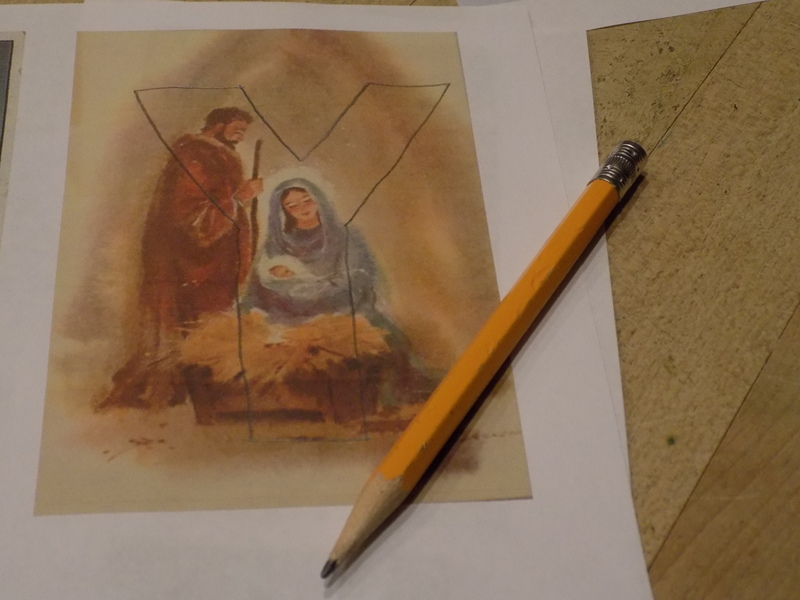 Cut out the letters and arrange them on the cardstock. Glue in place and let it dry. Finished! 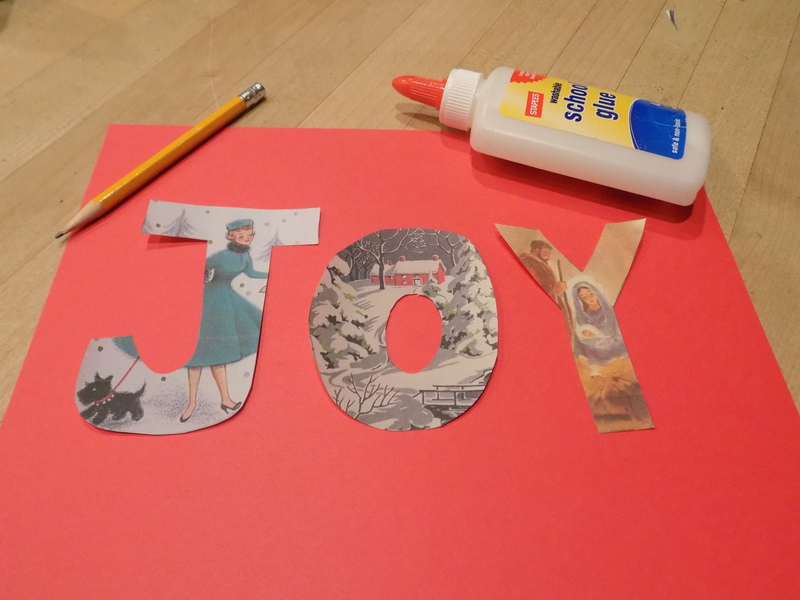 These make fun placements, bedroom door decorations, or holiday décor for a bulletin board.